Laksa - The Amala Trick. Vinyl 12. Bleep. 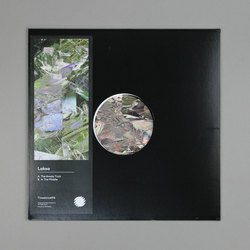 Batu’s Timedance label (Lurka, Ploy) caps an excellent 2018 with a new release by returning hero Laksa. The Amala Trick contains two tunes that neatly show off Laksa’s best sides. Its title cut is a heady beat track - the way in which the easy hip-hop strut is offset by a dense fug of sound above it recalls something by You Stand Uncertain-era FaltyDL. On the flip, ‘In The Middle’ maintains the saturated feel of ‘The Amala Trick’, while its soundsystem techno drums make a beeline for the dancefloor.